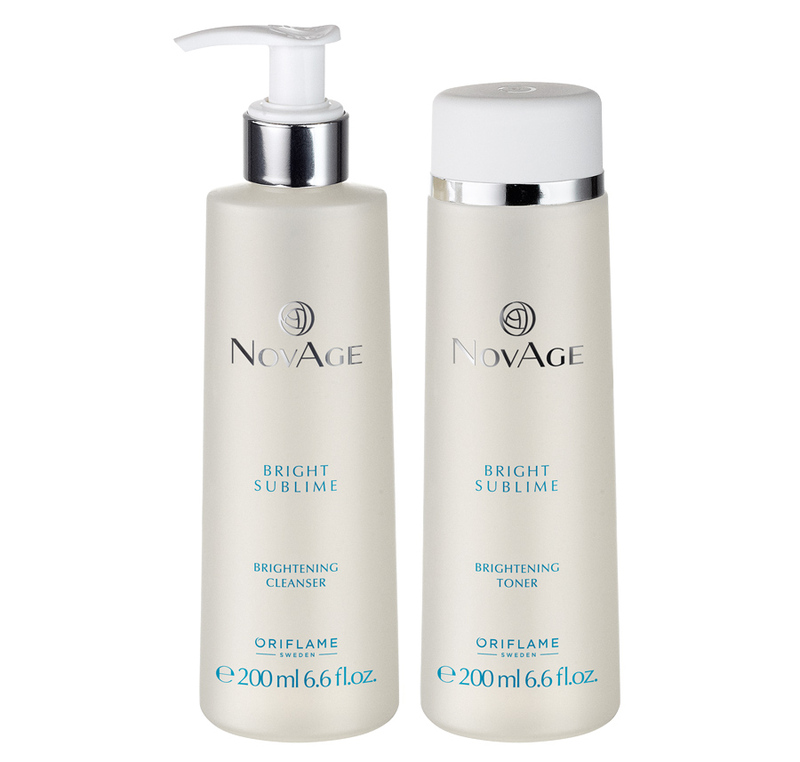 Bright Sublime NovAge is the “advanced performing” face care line from Oriflame that acts on dark spots, uneven skin tone and wrinkles. Did you know that hyperpigmentations – brown spots, are quite frequent in our country, much due to the climate and the high sun exposure to which we are subject?Oriflame invites you to discover the new Premium face care line- Bright Sublime. 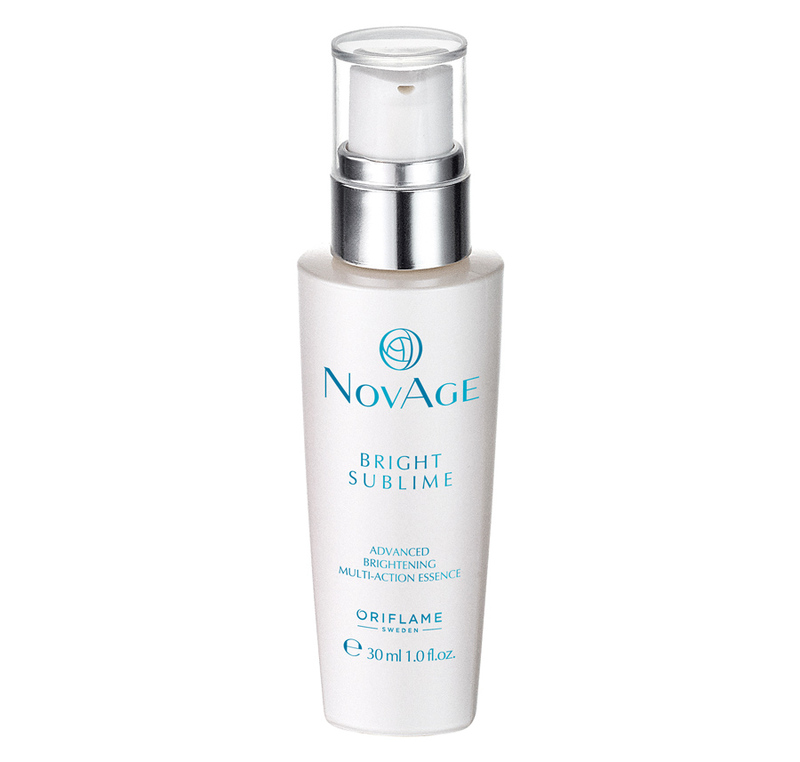 With a slightly different positioning from the other NovAge lines , whose focus is skin aging, Bright Sublime was carefully designed for consumers with alterations to skin pigmentation – melasma – usually symmetrical brownish spots, mostly located on the face. Women, in fertile time, represent the large percentage of the population with melasma. Regarding the underlying causes of this skin condition, Hormonal changes, taking oral contraceptives and other medicines, poor healing processes – burns, acne marks, etc. And abusive and unprotected photoexposure. These care require a loyalty and a continued and prolonged use so that the improvement of the general condition of the skin is perceptible. Minimizes blemishes and wrinkles **. 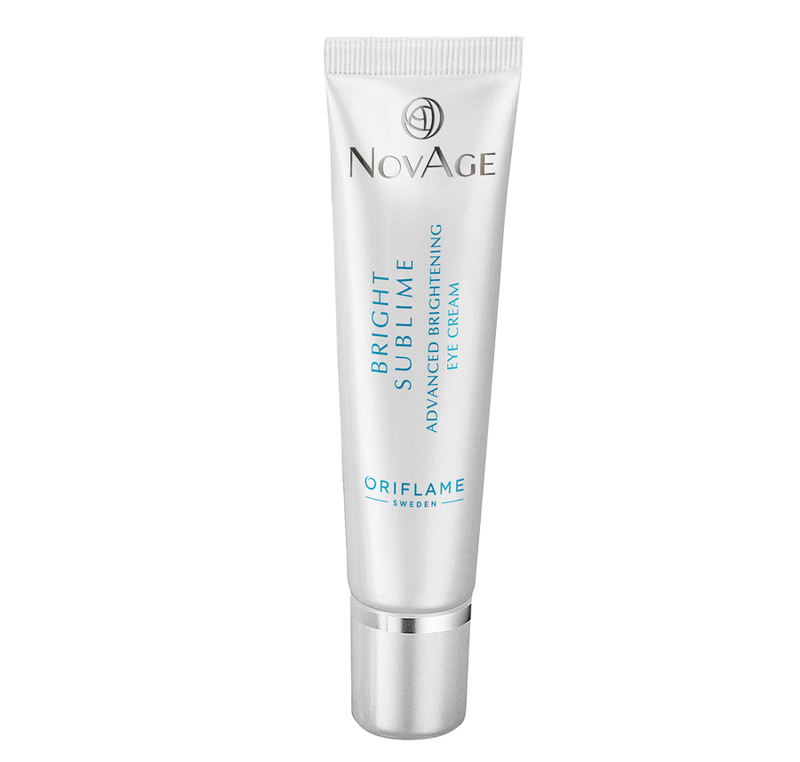 Bright Sublime NovAge is the result of Oriflame’s AgeReflectTM study. This scientific study revealed that fourth in five women did not appear to be their age, and identified the 12 signs of aging of the skin that have the greatest impact on the age they appear to have. Changes to pigmentation – dark spots and uneven skin tone are some of these signs. 1. Powered by Patented Multi-Bright Technology (patent # IE20090296), an innovative herbal technology that inhibits the production of melanin. 2. Enriched with Gardener’s Plant Stem Cell Extract, which helps promote and maintain healthy levels of collagen in the skin. 3. Clinically tested by scientists for proven effectiveness and superior results. Irregular skin tone and dark spots are a result of over-production of melanin in the epidermis – hyperpigmentation. 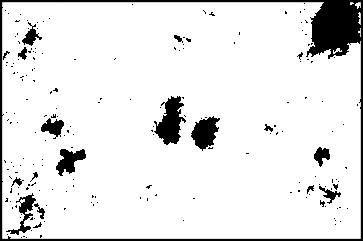 Stains can appear at any time as a result of environmental factors or physiological imbalances, although they are more common in women of childbearing age. After more than six years of research, Oriflame develops a technology that fights this overproduction of melanin. 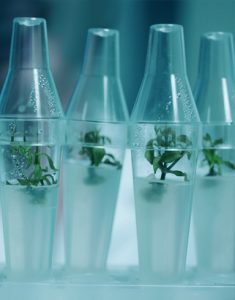 By combining two plant-based actives, Dioic Acid and Rumex occidentalis, the patented Multi-Bright Technology (patent no. 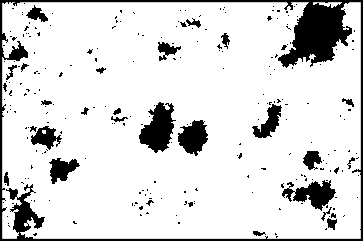 IES20090296) penetrates the epidermal base to act on all phases of melanin production. The result is a patch of stains and a more uniform and radiant complexion. In addition, it helps prevent the formation of new dark spots. Collagen gives shape, structure and firmness to the skin. With skin aging, the synthesis of collagen decreases and its natural degradation increases, resulting in a weakened extracellular matrix and the formation of wrinkles. By stimulating collagen synthesis and reducing the formation and action of enzymes that cause its natural degradation, Gardener’s Plant Stem Cell Extract helps to soften wrinkles, reduce their visibility, giving a rejuvenated complexion. 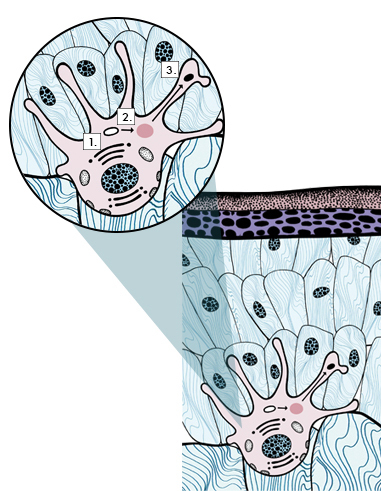 This illustration shows how the patented Multi-Bright Technology inhibits all phases of melanin production: 1: BIOGENESIS – Melanocyte stimulation; 2: SYNTHESIS – Melanin production and 3: MIGRATION, Movement of melanin to keratinocytes. Gel cleanser that illuminates and smoothens the complexion and helps to reduce the visibility of dark spots. A formula that creates a foam and deep cleans the skin, leaving it matted and refreshed. Gently scented. 200 ml. formula that removes impurities and residue from the cleaning to reveal a more luminous and uniform complexion with less visible dark spots, with continued use. Gently scented. 200 ml. Cleaning: Deep cleans to remove excess oil, make-up and impurities. Purifies, without drying the skin.Tonic: Removes dead skin cells and cleansing residues, To leave the skin perfectly prepared for an optimal absorption of the technologies present in the serum and cream day / night. cleans to remove excess oil, make-up and other impurities, as well as reveal a more uniform and radiant complexion with less dark spots and a softer texture. Cleaning: Massage the product gently on the skin and rinse well. Avoid the eye area. Tonic: Apply morning and evening after cleansing. Apply to the face with a cotton disc avoiding the eye contour area. Action with continued use Deep cleans to remove excess oil, make-up and other impurities, as well as reveal a more uniform and radiant complexion with less dark spots and a softer texture. Directions for use Cleaning: Massage the product gently on the skin and rinse well. Avoid the eye area. Tonic: Apply morning and evening after cleansing. Apply to the face with a cotton disc avoiding the eye contour area. Action with continued use Deep cleans to remove excess oil, make-up and other impurities, as well as reveal a more uniform and radiant complexion with less dark spots and a softer texture. Directions for use Cleaning: Massage the product gently on the skin and rinse well. Avoid the eye area. Tonic: Apply morning and evening after cleansing. Apply to the face with a cotton disc avoiding the eye contour area. After cleaning. Apply to the face with a cotton disc avoiding the eye contour area. After cleaning. Apply to the face with a cotton disc avoiding the eye contour area. eye cream, enhanced by the patented Multi-Bright Technology and Gardener’s Plant Stem Cell extract. Reduces pigmentation for a brighter eye contour, reduces puffiness and dark circles, and softens lines and wrinkles with continued use. Easy to grip, with a smooth, matte finish. Without fragrance. 15 ml. Quickly absorbed, this cream provides a velvety, maficada and radiant skin. Reduces pigmentation for a uniform eye contour. It reduces puffiness and dark circles, as well as soften fine lines. With the ring finger, apply with gentle touches in the area of ​​the orbital bone. Serum Advanced Sublime NovAge Serum is designed to maximize the effect of day cream and evening cream, and to reveal a more uniform complexion, reduce dark spots and smooth wrinkles with continued use. Gently scented. 30 ml. Quickly absorbed, this serum leaves the skin smoother, radiant and refreshed. Developed to maximize the action of day and night creams. proven action that reveals a more radiant and uniform complexion, reduces the appearance of dark spots and softens fine lines and wrinkles. Apply morning and evening on clean skin. Apply to the face, avoiding the eye contour area. Reveals a more radiant and uniform complexion , reduces dark spots and smoothes wrinkles with continued use. With SPF 20 to protect the skin from photoaging. Gently scented. 50 ml. 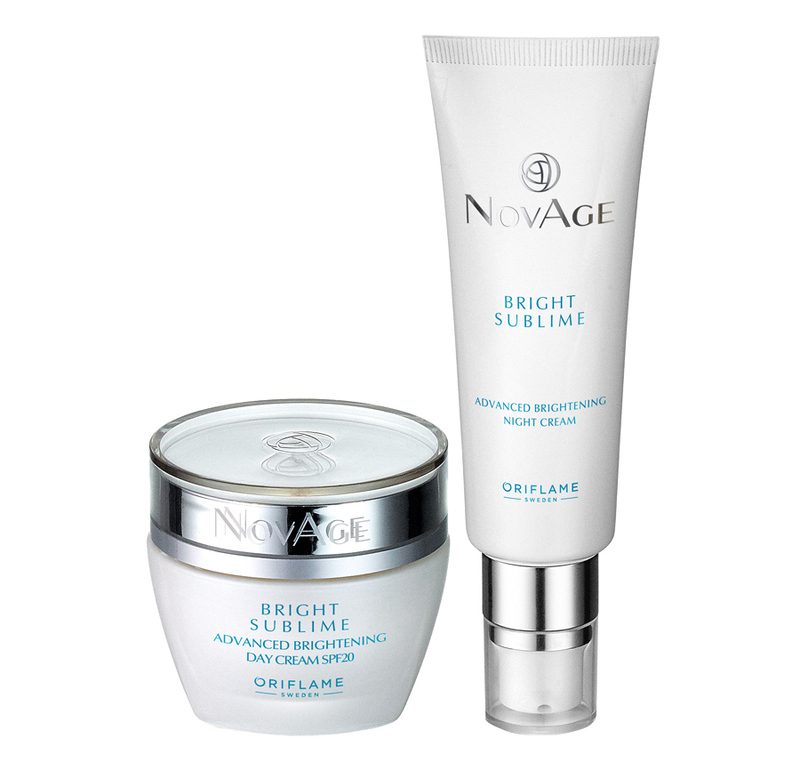 Night Cream “advanced performing” powered by the patented Multi-Bright Technology and Flavonoids of antioxidants Gingko. Lightens the skin and reduces dark spots with continued use, giving a more radiant and even complexion. Easy-to-absorb, non-oily formula. Gently scented. 50 ml. Quickly absorbed, these creams leave the skin smooth. Day cream helps protect the skin from UV radiation. The night cream helps to repair the skin from external aggressions during the rest period. proven action that reveals a more radiant and uniform complexion, reduces the appearance of dark spots and softens fine lines. Apply every morning (day cream) and nights (night cream) after the serum. Apply on face with fingertips. Avoid the eye area. How to use Apply every morning (day cream) and nights (night cream) after the serum. Apply on face with fingertips. Avoid the eye area. How to use Apply every morning (day cream) and nights (night cream) after the serum. Apply on face with fingertips. Avoid the eye area. 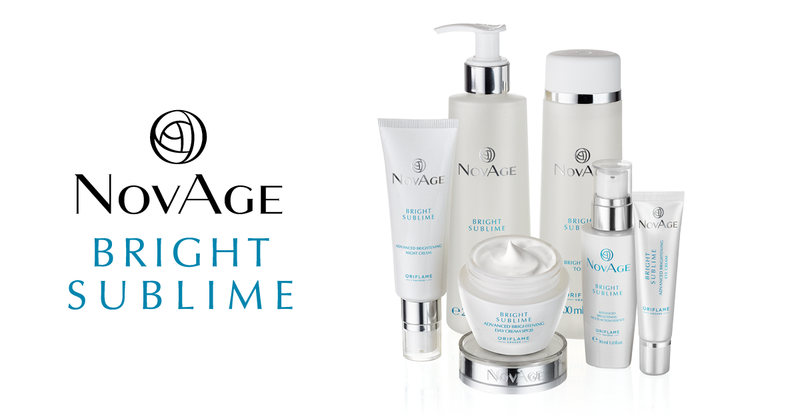 For best results, we recommend using the Bright Sublime NovAge Face Care Set. 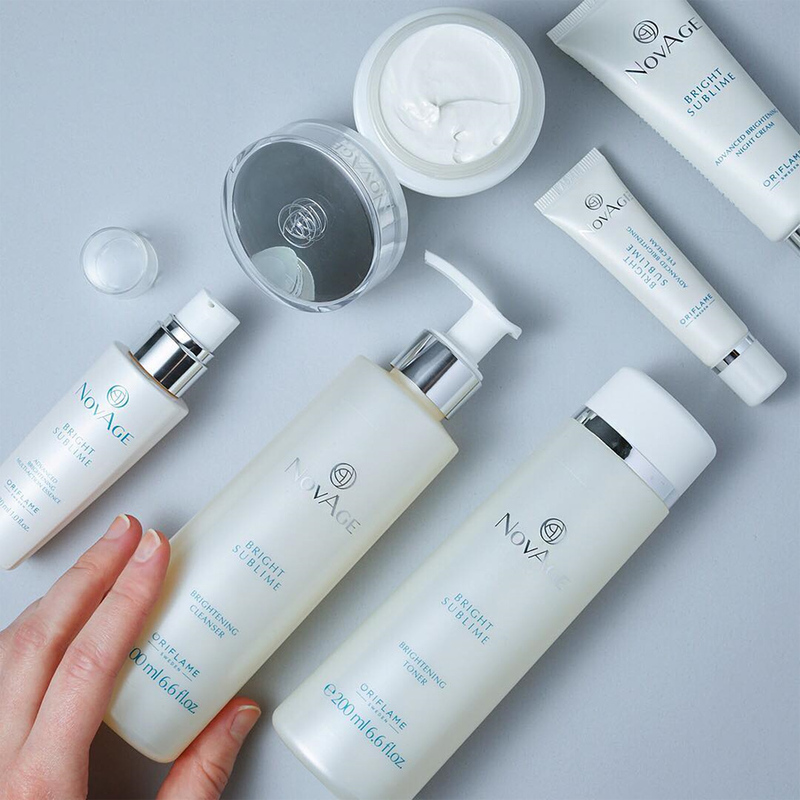 All products have been created to work in synergy and each step of the Daily Face Care Routine provides a perfect preparation for the application of the remaining products. All you need is four steps, using six products, for only two minutes, morning and evening, for results 7 times higher. This “advanced performing” face care set illuminates and smoothens skin tone, reduces dark spots, and softens wrinkles for a radiant, uniform and healthy complexion. 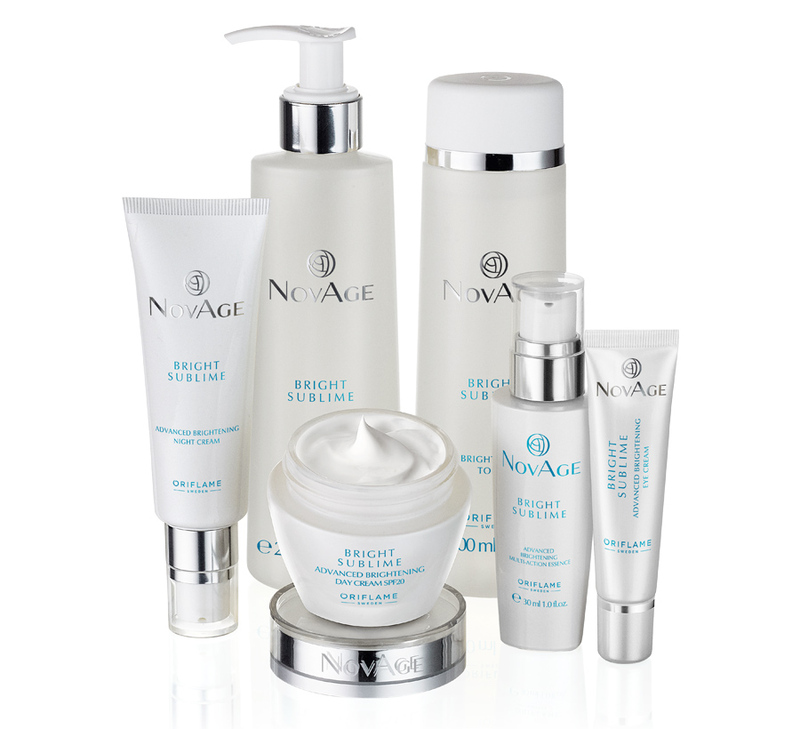 Set Advanced face care set that illuminates and smoothens skin tone, reduces dark spots and softens wrinkles for a radiant and perfect complexion. Powered by Multi-Bright Technology. Cleansing, tonic, eye cream, serum, day cream and night cream for best results. Contains 6 standard size products.